Hello from Orlando, Florida! Depositphotos has just finished exhibiting at this year’s PhotoShop World that took place between April 16-19. We are so excited to have had such a successful show and to have met such passionate and enthusiastic photo lovers like ourselves! Here I am with some “Big Shots” outside of the convention hall. 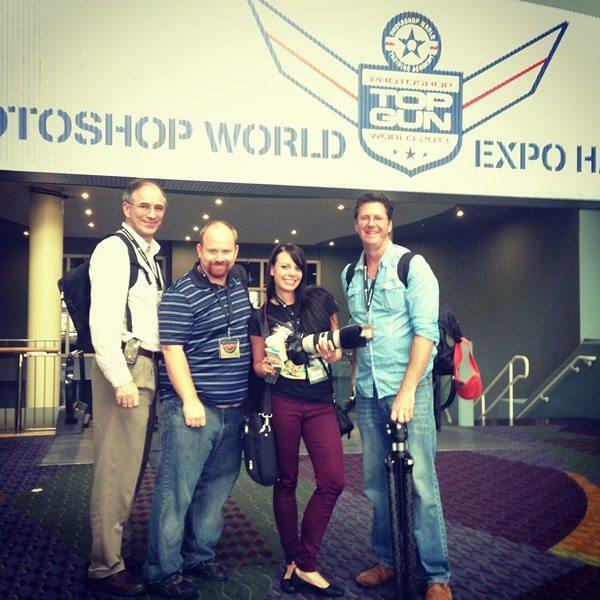 PhotoShop World is a three-day conference targeting photo enthusiasts and professionals. This workshop is designed to boost photographer’s skills, whether they are a professional or amateur, by introducing and demonstrating the latest Photoshop software and lighting techniques. This week was full of great presentations and workshops that included Adobe, Nikon, Canon, Moose Peterson and Dave Black. 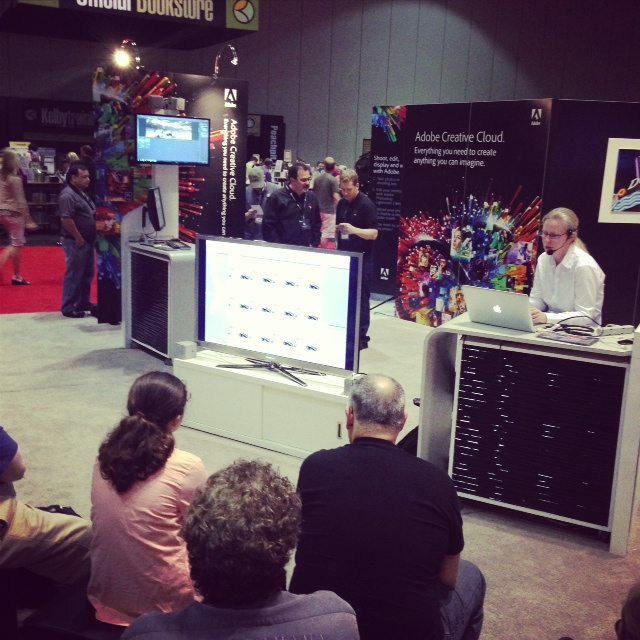 We were able to catch Adobe’s presentation and demonstration of the new Adobe Photoshop Lightroom 5 Beta. Don’t forget to download your free trial! Live workshop of Adobe Photoshop Lightroom 5 Beta. Demonstration of Adobe Photoshop Lightroom 5 Beta. 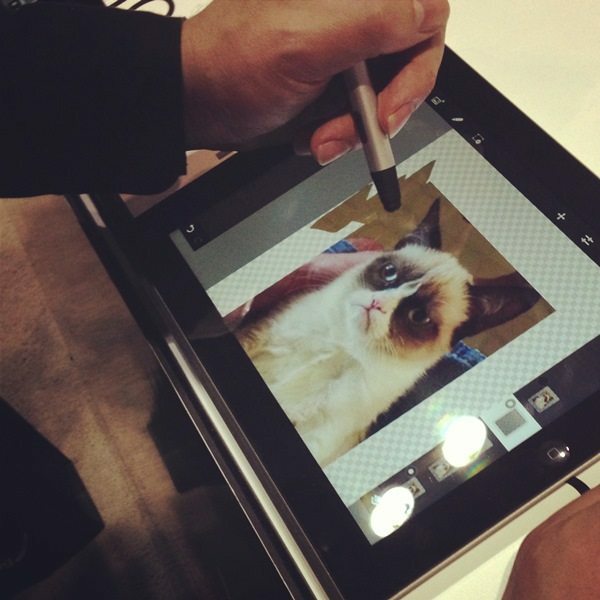 The star of the editing session was the one and only “Grumpy Cat”! 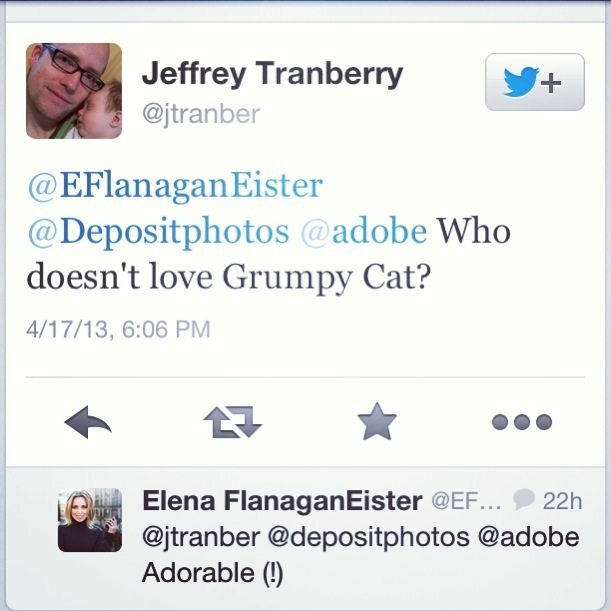 Our CEO, Elena Flanagan- Eister had some fun with Adobe’s Project Manager, Jeffrey Tranberry over Twitter and bonded over their mutual admiration for “Grumpy Cat”. Creativity was truly in the air during this show. Here is another workshop entitled “On Location Wedding Shoot “ with David Ziser. There was a live model present giving the photographers the opportunity to test out new techniques. Orlando is a great tourists destination and we had to take advantage of the time we had here. We were able to enjoy sunny 80-degree weather, a much needed change from our headquarters in New York City. We were even invited to see a live modern dance presentation at a venue called DRIP. This venue attracts local artists and takes place in a warehouse. If you are looking for a dive bar mixed with live entertainment, this will be your ultimate spot. However, BEWARE, you will get dirty with sand, paint and colored beer. 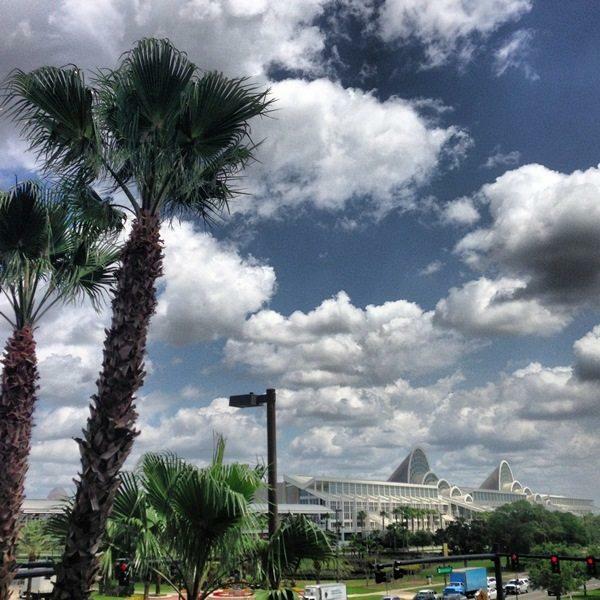 The Orange County Convention Center sparkling in the sun! 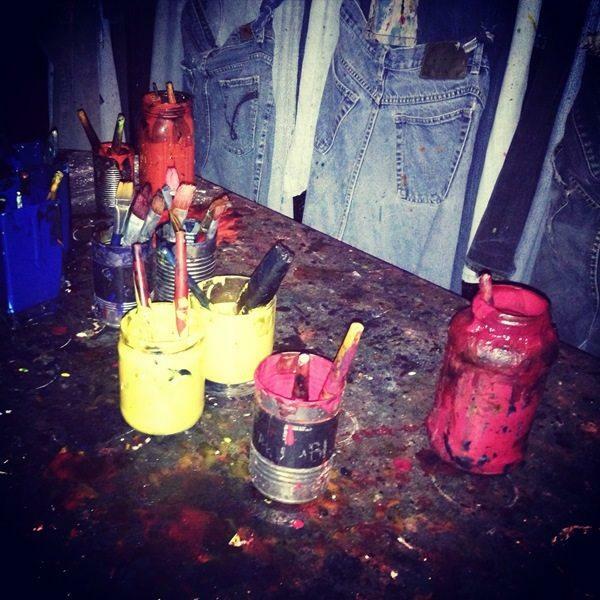 Getting messy with paint at DRIP. Overall, our week at Photoshop World has been a great success. We were able to meet some very talented photographers, web developers and graphic designers that we hope will contribute to the Depositphotos collection in the near future. To get some more information about the Photoshop World Expo and future events, visit photoshopworld.com. We hope to see at next years Photoshop World! Kerri Hock is the Depositphotos’ director for business development US.